I wandered down into the backyard scouting locations for an outdoor still life with pumpkins and gourds. 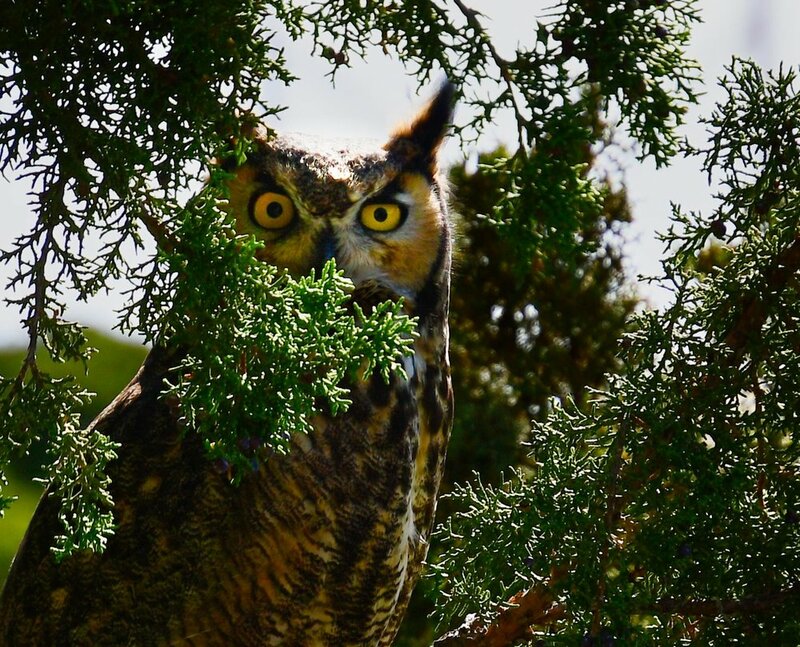 I disturbed this large Great Horned Owl perched in the junipers. He flew to a different branch, but not much further. I wonder if it is the same owl I posted about last February (Great Horned Owl 2/18/2018).